Well looks like the E pair might not join hands for the second time after all. According to sources, Nayantara has rejected the offer to star in Jiiva’s upcoming film citing her busy schedule. Sources have also revealed that Jiiva approached Nayantara personally only to know that the actress is not in a position to give her call sheet at the moment. According to speculations that’s been doing rounds, Nayantara has taken into account Jiiva’s unsuccessful outings in the recent past and has subsequently decided not to feature opposite the Yaan actor to maintain her good success rate. It is also said that, since Jiiva’s last few films have not done well at the box office, no one came forward to produce his film. Hence, his upcoming project will be financed by his home production company, Super Good Films. The film is most likely to be directed by Ramnath who earlier fabricated Ambasamudram Ambani with Karunas in the lead. The film is touted to be a comedy entertainer with both village and city as its back drop. Another interesting piece of information that’s been doing rounds pertaining to the film is that, Jiiva might be seen in three different roles and that actor-director Samuthirakani will be seen in a prominent cop role. The project is set to go on floors on March 15th and will most likely have Sri Divya playing the female lead in place of Nayantara. Other information on cast and crew is yet to be divulged. 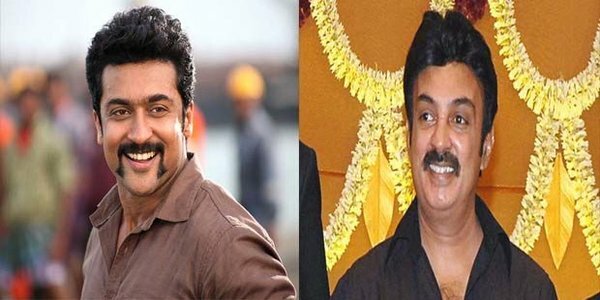 Leading actor to play as antagonist in Suriya’s next film ….